Turtles All the Way Down connected with me instantly. 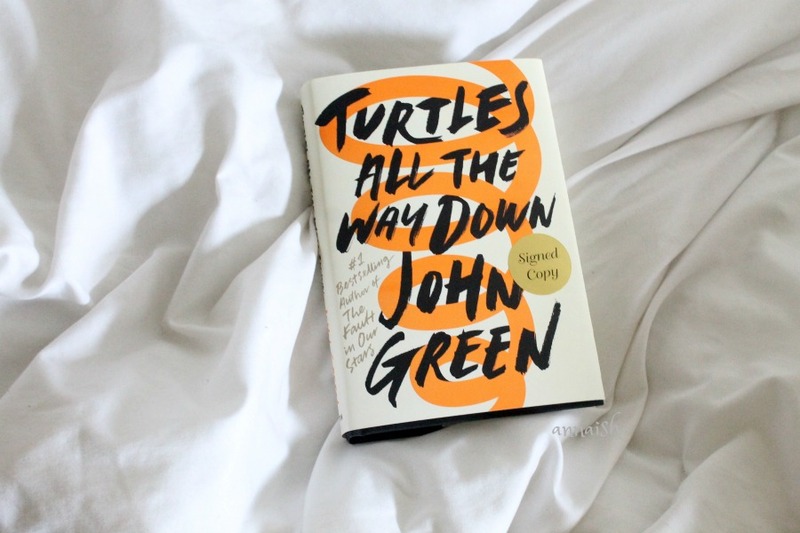 It's offical: this is my favorite John Green book! None of his older books hit home like this. Turtles All the Way Down strayed away from his typical cliche elements and opened a new door for his dedicated readers. It's an #OwnVoices novel, deals with mental illnesses, and the main focus wasn't centered around a teen romance. It was so good y'all. TATWD is about sixteen-year-old Aza and how she's managing her Obsessive Compulsive Disorder (OCD). Aza is living a semi-average teenage life. She has a close, chatty friend (Daisy) who writes Star Wars fanfiction and a sad billionaire boy (Davis). But, the objective of her story is, this is what it's like to live with a form of OCD. You see her spirals of compulsive thoughts and her actions based off these manipulating thoughts. I found this mental illness representation very refreshing. (NOTE: from my point of view, i found no problematic aspects.) I also enjoyed Aza's narrative! She felt two dimensional at times but, I did find Aza and I quite similar. The side characters were key elements to Aza's life, so they felt dynamic and important. The synopsis gives you a taste of this missing rich father and his coping son, which does happen, but it wasn't the main plot. The mystery begins and ends the story - that's it. There are multiple side quests for Aza, which was engaging! TATWD is definitely a self-discovery journey. I did find the plot rather slow and quirky (this is a john green book so). And there were a few scenes/elements would have never happened in today's reality. Davis and Aza also throw around some deep philosophies/metaphors (again, this is a john green book) and I felt immediately disconnected. I've never heard/had a teenager bust out some old Aristotle quote at me. Anyway, the writing was well done. John Green certainly has his way with words. The last thing I want to mention is that Turtles All the Way Down doesn't sugarcoat anything. The atmosphere becomes melancholy. You'll see Aza and her relationships at their lowest. It becomes unbearable to see someone struggle like this. But, hope does shine through. Aza slowly grows and her closest family/friends begin to understand what's going on inside her head. Even though Aza's a fictional character... she gives me hope for today's world. Happy Friday bookaholics! 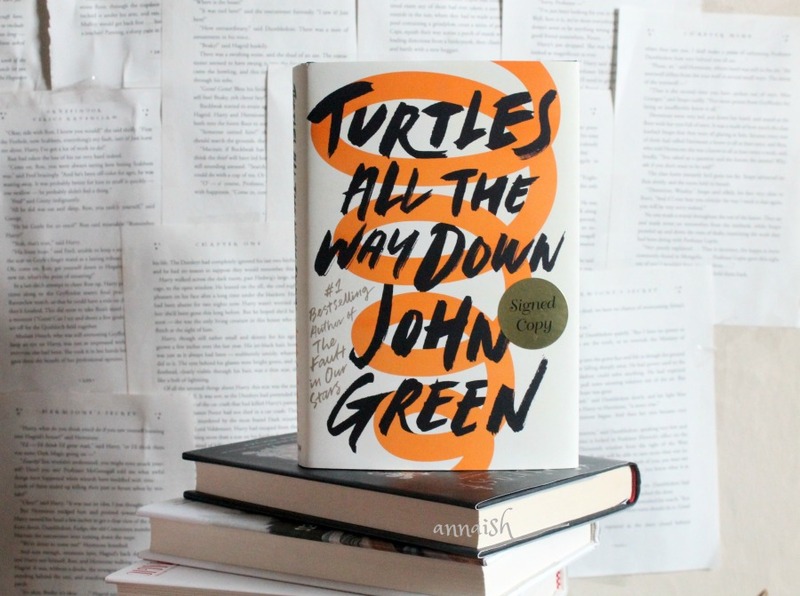 Have you read Turtles All the Way Down? What's your favorite John Green book? What are your thoughts on the cover? Let's chat! I'm sorry Emily. <3 Take care of yourself okay? Ahh not surprised to see another amazing review - I want to read this so much and I keep seeing even more great reviews for it and I'm like I NEED TO READ THIS NOW.. so will def be picking up a copy soon aha! I just started this book! As always, I think Green's grasp of the technical elements of writing is superb, but I can't help but question how unrealistic Turtles is. I had this same problem with Paper Towns - his books are realistic fiction only in the barest definition of the word; they chronicle things that technically COULD happen but never actually WOULD. It's so hard to relate to anything remotely involving Davis or the mystery element of this book. I often find I have to suspend my disbelief more with John Green than with fantasy. Heya! I'm also an emotional reader! I don't find John Green's books SUPER emotional (maybe TFIOS but barely)... if that's what you're wondering. Turtles All the Way Down had me pondering than feeling. But every reader is different. :) Thanks and enjoy, Uma! Okay, wow, I’m totally surprised! 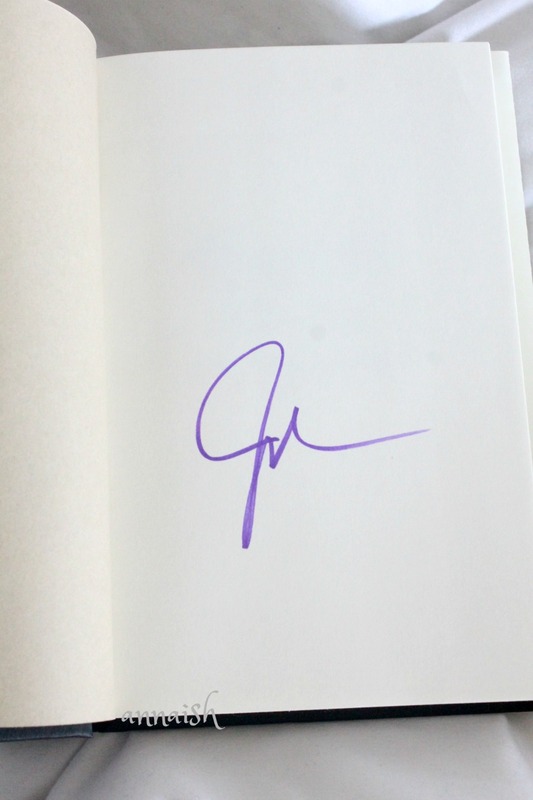 I didn’t really care when John the greens new book came out because I have read a few of his past books and just thought they were okay. I had zero plans in reading this or even reading the synopsis...but I think you’ve changed my mind. 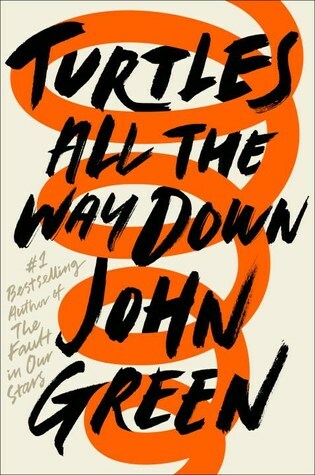 I have OCD, and this book actually seems super refreshing and non-stereotypical, which is different for John Green. Awesome, awesome review, Anna! I was also unsure about Turtles All the Way Down (for the same reasons), but I really enjoyed it. Thanks Erin! !